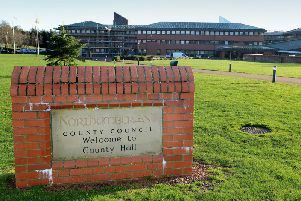 More than a third of adults receiving social care in Northumberland are paying private providers to top up their support, new figures show. The adult social care survey, of 425 care receivers in Northumberland, shows that 31% of people were topping up social care out of their own pocket in 2017-18. Including those whose families paid towards their care, it was 35%. In Northumberland, the most common type of care provided in 2017-18 was physical support. It was most commonly delivered in people’s own homes, and most adults receiving it were aged over 65. Of those surveyed about their social care in Northumberland, 94% of people said they were satisfied with it.